15-Inch replacement blade fits Sun Joe iON 40-Volt Cordless 16-Inch Lawn Mower with Brushless Motor iON16LM. The blades under your deck turn with extreme force, and with every complete revolution their cutting edges have two chances to cut each blade of grass. 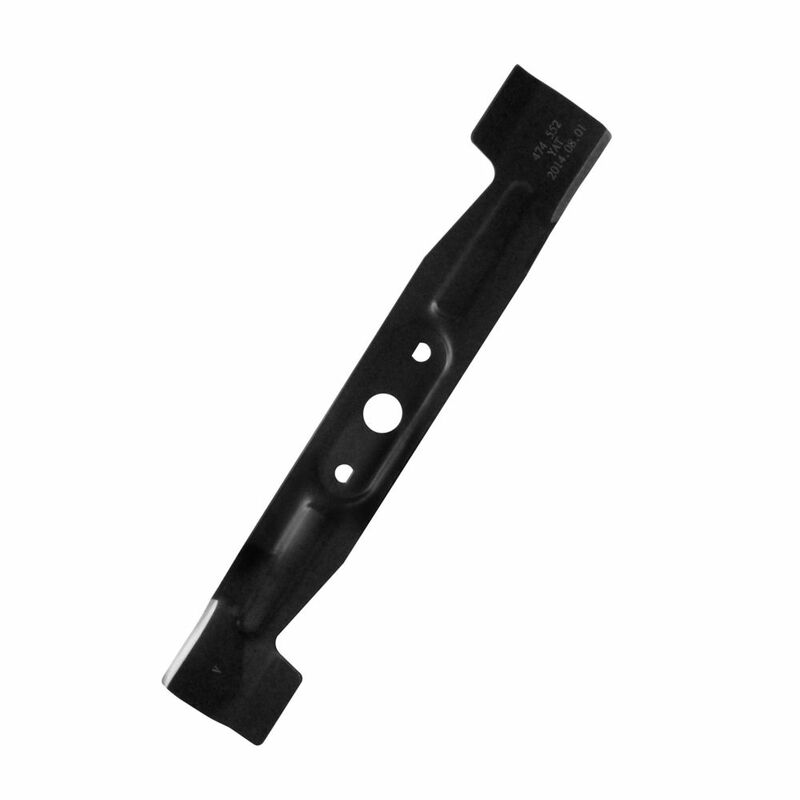 Our genuine OEM blades are manufactured with strong resilient materials designed to provide you with a longer lasting cutting edge, providing you with a precise smooth cut. Fits most MTD 21 inch lawnmowers from 1991 thru 1996. Large round centre hole. Replaces MTD OE # 742-0721 / 742-0563. For Troy-Bilt, MTD, MTD Gold, Yard-Man, Yard Machines, Bolens, and White Outdoor. Yard chores just got easier with the new SharperBlade weed whacker and Trimmer Blade from Sun Joe. This edger blade quickly gets your yard work done without the hassle and frustration of traditional string trimmers. Engineered from durable nylon embedded in polymer, the SharperBlade cuts like a mower blade. Its self-sharpening system gives you the reliability and convenience you demand from your garden tool. After each trimming session, this replacement blade wears down to expose a fresh, new edge, ensuring a precise cut every time. Includes 216 ft. of nylon string in every blade. This is the replacement blade for Sun Joe SharperBlade SB600E/SB601E Trimmer/Edger only. iON 15-inch Replacement Blade For iON16LM Lawn Mower 15-Inch replacement blade fits Sun Joe iON 40-Volt Cordless 16-Inch Lawn Mower with Brushless Motor iON16LM.